This article is about the food. For the album by Fish, see Bouillabaisse (album). Bouillabaisse (French pronunciation: ​[bu.ja.bɛːs]; Occitan: bolhabaissa [ˌbuʎaˈβajsɔ / ˌbujaˈbajsɔ]) is a traditional Provençal fish stew originating from the port city of Marseille. The French and English form bouillabaisse comes from the Provençal Occitan word bolhabaissa, a compound that consists of the two verbs bolhir (to boil) and abaissar (to reduce heat, i.e., simmer). Bouillabaisse was originally a stew made by Marseille fishermen using the bony rockfish which they were unable to sell to restaurants or markets. There are at least three kinds of fish in a traditional bouillabaisse: typically red rascasse (Scorpaena scrofa); sea robin (fr: grondin); and European conger (fr: congre). It can also include gilt-head bream (fr: dorade); turbot; monkfish (fr: lotte or baudroie); mullet; or European hake (fr: merlan). 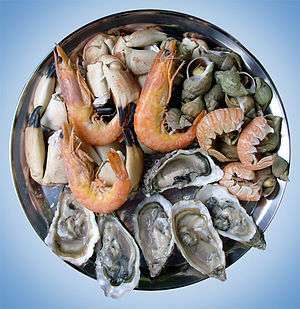 It usually also includes shellfish and other seafood such as sea urchins (fr: oursins), mussels (fr: moules); velvet crabs (fr: étrilles); spider crab (fr: araignées de mer) or octopus. More expensive versions may add langoustine (European lobster), though this was not part of the traditional dish made by Marseille fishermen. Vegetables such as leeks, onions, tomatoes, celery, and potatoes are simmered together with the broth and served with the fish. The broth is traditionally served with a rouille, a mayonnaise made of olive oil, garlic, saffron, and cayenne pepper on grilled slices of bread. What makes a bouillabaisse different from other fish soups is the selection of Provençal herbs and spices in the broth; the use of bony local Mediterranean fish; the way the fish are added one at a time, and brought to a boil; and the method of serving. In Marseille, the broth is served first in a soup plate with slices of bread and rouille, then the fish is served separately on a large platter (see image at right); or, more simply, as Julia Child suggests, the fish and broth are brought to the table separately and served together in large soup plates. Recipes for bouillabaisse vary from family to family in Marseille, and local restaurants dispute which versions are the most authentic. In some restaurants which cater to foreign tourists, the dish called bouillabaisse has little in common with the original dish except the name. In Marseille, bouillabaisse is rarely made for fewer than ten people. An authentic Marseille bouillabaisse must include rascasse (Scorpaena scrofa), a bony rockfish which lives in the calanque and reefs close to shore. It usually also has congre (eng: European conger) and grondin (eng: sea robin). According to the Michelin Guide Vert, the four essential elements of a true bouillabaisse are the presence of rascasse, the freshness of the fish; olive oil, and an excellent saffron. The American chef and food writer Julia Child, who lived in Marseille for a year, wrote: "to me the telling flavor of bouillabaisse comes from two things: the Provençal soup base — garlic, onions, tomatoes, olive oil, fennel, saffron, thyme, bay, and usually a bit of dried orange peel — and, of course, the fish — lean (non-oily), firm-fleshed, soft-fleshed, gelatinous, and shellfish." Four kilograms of fish and shellfish, including, on a typical day, grondin (English sea robin), Rascasse (Scorpaena scrofa), rouget grondin (red gurnard), congre (English conger), baudroie (lotte, or monkfish), Saint-Pierre (English John Dory), Vive (English weever), and sea urchins. Other ingredients in the broth include a kilogram of potatoes, seven cloves of garlic, onions, ripe tomatoes, and a cup of olive oil. The broth is seasoned with a bouquet garni, fennel, eight pistils of saffron, salt and Cayenne pepper. The Rouille, a spicy mayonnaise which is spread on thick slices of country bread and floated on the bouillabaisse when served, is made with an egg yolk, two cloves of garlic, a cup of olive oil, and ten pistils of saffron, and is seasoned with salt and Cayenne pepper. French Chef; Bouillabaisse A La Marseillaise, Julia Child, 10/07/1970, 28:39, WGBH Open Vault. Includes video from Marseille. In the traditional bouillabaisse served in Marseille restaurants, first the fish are cleaned and scaled and then washed, usually with sea water. Then the fish are cut into large slices, keeping the bones. Next olive oil is put into a large casserole, and onions, cleaned and sliced, are added, along with crushed garlic and the tomatoes, peeled and quartered, without seeds. This mixture is browned at low heat for about five minutes, so that the olive oil takes on the flavors of the other ingredients. When this has been done, the sliced fish are added, beginning with the thickest slices, down the smallest. The fish is covered with boiling water, and salt, pepper, fennel, the bouquet garni and the saffron. The dish is boiled at low heat, and stirred from time to time so that the fish does not stick to the casserole. The dish is cooked until the juice of the cooking is well blended with the oil and water, usually about twenty minutes. When the bouillabaisse is done, the rouille is prepared: the stem of the garlic is removed; the garlic cloves are crushed into a fine paste with a pestle in a mortar; the egg yolk and saffron are added and blended with olive oil little by little to make a mayonnaise. The potatoes are peeled, cut into large slices and boiled in salted water for 15 to 20 minutes. The last step is to open the sea urchins with a pair of scissors, and to remove the corail (roe) with a small spoon. The pieces of fish are then arranged on a platter, and the corail of the sea urchins is added to the broth and stirred. In this traditional version, the bouillon is served first, very hot, with the rouille spread on thick slices of bread rubbed with garlic. The fish and potatoes are served next on a separate platter. Another version of the classic Marseille bouillabaisse, presented in the Petit LaRousse de la Cuisine, uses congre, dorade, grondin, lotte, merlan, rascasse, saint-pierre, and velvet crabs (étrilles), and includes leeks. In this version, the heads and trimmings of the fish are put together with onions, celery and garlic browned in olive oil, and covered with boiling water for twenty minutes. Then the vegetables and bouquet garni are added, and then the pieces of fish in a specific order; first the rascasse, then the grondin, the lotte, congre, dorade, etrilles, and saffran. The dish is cooked for eight minutes over high heat. Then the most delicate fish, the saint pierre and merlan, are added, and the dish is cooked another 5–8 minutes. The broth is then served over bread with the rouille on top, and the fish and crabs are served on a large platter. Other variations add different seasonings, such as orange peel, and sometimes a cup of white wine or cognac is added. These ingredients are often found in the traditional bouillabaisse of Provence. 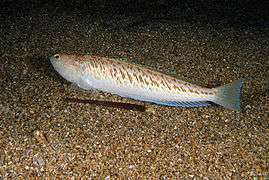 A rascasse rouge or red rascasse (Scorpaena scrofa), a variety of small, spiny Mediterranean rockfish often used in bouillabaisse. Sometimes a white rascasse is used. A grondin, or Sea robin. It is sometimes used as a substitute for rascasse. A grondin rouge, or red gurnard. A baudroie, or monkfish (lophius piscatorius) caught near Averoy, Norway. 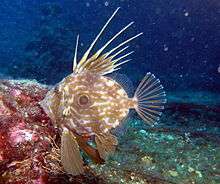 A Saint-Pierre, or John Dory. 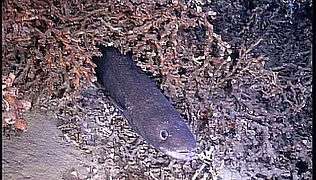 The head of a Conger eel is sometimes added to a bouillabaisse. The cigale de mer, or slipper lobster. Today it is often replaced by langouste, or spiny lobster in the most expensive varieties of bouillabaisse, but this is not a traditional part of the dish. A cream of the roe of the oursin, or sea urchin, is sometimes added to the broth of the bouillabaisse. 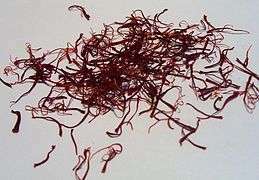 A small amount of saffron is used to season both the broth and the rouille. A very small amount of cayenne pepper is added to both the broth and the rouille. The French screenwriter and playwright Marcel Pagnol, a member of the Académie française and a native of Marseille, showed his own idea of a proper bouillabaisse in two of his films. In Cigalon (1935), the chef Cigalon serves a bouillabaisse provençale aux poissons de roche, (Bouillabaisse of Provence with rockfish) made with a kilogram of local fish; Scorpaena scrofa (rascasse); Capelin; Angler fish (baudroie); John Dory (Saint-Pierre); and Slipper lobster (Cigale de mer). "When I put these fish into the pan," Cigalon says, "they were still wiggling their tails." Cigalons specifies that the slices of bread served with the broth should be thick and not toasted, and that the rouille "should not have too much pepper." In the 1936 film César (film), Pagnol's hero Marius reveals the secret of the bouillabaisse of a small bistro near the port in Marseille. "Everbody knows it," Marius says: "they perfume the broth with a cream of sea urchins." The dish originates in ancient Greece. 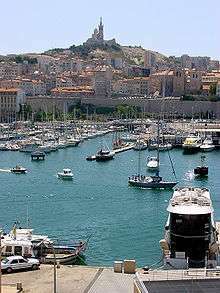 The Phoceans, an Ancient Greek people who founded Marseille in 600 BC, ate a simple fish stew known in Greek as "kakavia". A dish similar to bouillabaisse also appears in Roman mythology: it is the soup that Venus fed to Vulcan. The legend has it that bouillabaisse was created by Marseille fishermen who wanted to make a meal when they returned to port. Rather than using the more expensive fish, they cooked the common rockfish and shellfish that they pulled up with their nets and lines, usually fish that were too bony to serve in restaurants, cooking them in a cauldron of water on a wood fire and seasoning them with garlic and fennel. 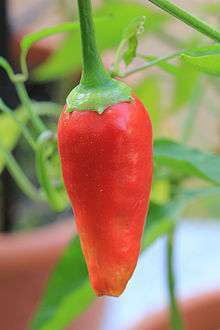 Tomatoes were added to the recipe in the 17th century, after their introduction from the Americas. In the 19th century, as Marseille became more prosperous, restaurants and hotels began to serve bouillabaisse to upper class patrons. The recipe of bouillabaisse became more refined, with the substitution of fish stock for boiling water and the addition of saffron. Bouillabaisse spread from Marseille to Paris, and then gradually around the world, adapted to local ingredients and tastes. The name bouillabaisse comes from the method of the preparation — the ingredients are not added all at once. The broth is first boiled (bolh) then the different kinds of fish are added one by one, and each time the broth comes to a boil, the heat is lowered (abaissa). Generally similar dishes are found in Greece, Italy (zuppa di pesce), Portugal (caldeirada), Spain (sopa de pescado y marisco, suquet de peix), and all the countries bordering the Mediterranean Sea. What makes a bouilabaisse different from these other dishes are the local Provençal herbs and spices, the particular selection of bony Mediterranean coastal fish, and the way the broth is served separately from the fish and vegetables. ↑ "French Chef; Bouillabaisse A La Marseillaise". The Julia Child Project. WGBH Educational Foundation. October 7, 1970. Retrieved September 16, 2016. ↑ See the Michelin Guide Vert, Côte d'Azur, pg.31 (in French), for this version. ↑ A. J. Liebling. "Onward and Upward with the Arts: The Soul of Bouillabaisse Town". The New Yorker. Retrieved 2013-05-05. Wikimedia Commons has media related to Bouillabaisse. Look up bouillabaisse in Wiktionary, the free dictionary.